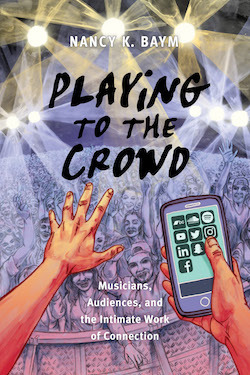 Baym, N. K. (2018) Playing to the Crowd: Musicians, Audiences, and the Intimate Work of Connection. New York University Press. Read the introduction posted here or the chapter about how fans created online culture reprinted in full in WIRED. Listen to the soundtrack of musicians I interviewed and discuss on Spotify and read about how I chose the selections here. Read an interview with me about the book and some of its implications in Forbes. Prefer to learn about the book in German? Great not! You can read and listen (auf Deutsch) to an interview with me from Deutschlandfunk Kultur too. First edition can be mostly previewed here. Markham, A. 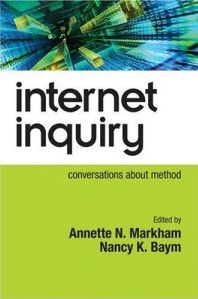 & Baym, N. (2010) Internet Inquiry: Conversations about Method. Sage Publications. In which qualitative internet researchers explain how they’ve handled key methodological questions in their work. You can read three reviews here, here, and here. They like it! Sample the first three chapters and buy. Consalvo, M., Baym, N. K., Hunsinger, J., Jensen, K. B,. Logie, J., Murero, M., & Shade, L.R (Eds.). 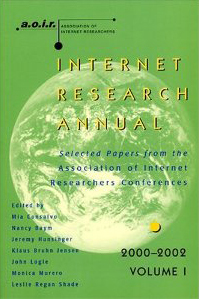 (2004) Internet Research Annual, Volume I. Peter Lang. A collection of best papers from the first three conferences of the Association of Internet Researchers. Baym, N. K. (2000). Tune In, Log On: Soaps, Fandom, and Online Community. Sage Publications, Inc. Click here for two reviews (with a response by me — scroll on down to April 2001). 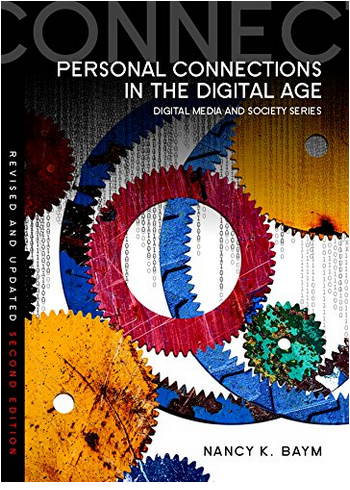 This book pulls together my ethnographic work on online community and online fandom in the 1990s. It still serves as a useful rejoinder to the idea that everything online is always new. The basic dynamics were well in place long before there was a World Wide Web.